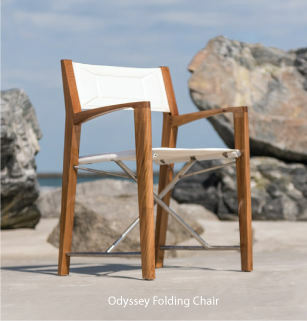 The Veranda collection has been one of our best selling teak furniture collections for many years. Traditional looks combined with contemporary design make the Veranda collection a favorite. Suitable for Indoor, Outdoor, Residential, Commercial and Marine applications. Extends from 86" to 102" and 118"
The Veranda collection has been one of our best selling teak outdoor furniture collections for the past 10 years. It offers a traditional look that is manufactured with state of the art Westminster technology. The Veranda collection features our largest teak outdoor dining furniture, which includes our Veranda Grand teak table, Veranda teak armchairs and teak dining chairs, 3 sizes of Veranda teak benches and our Veranda teak outdoor rocking chair. Quality Rated "Best Overall" by the Wall Street Journal.